The weather is good, the food is great and the wine is beautiful, three key attractions that make Franschhoek a key tourist destination of South Africa so what more could you possibly need. How about a fantastic mountain pass and an exclusive private motor museum. Located 10 minutes outside Franschhoek town, the collection is based on the L'Ormarins estate at the end of a beautiful driveway. Through the reception are four barns set against the backdrop of bright blue sky and the Drakenstein mountains, each one of these barns contain a portion of the exclusive collection. A collection which is ordered into categories Antique, Veteran, Vintage, Post Vintage, Post 45 and Post 1960. This is a petrolhead dream setting. Into the first building and we see the beautifully ordered Antique, Veteran and Vintage selection. The cars look as new, if not better. Fascinating examples like the steam driven DKW and the Czech made forerunner to the beetle the Tatra T97 are on display today. 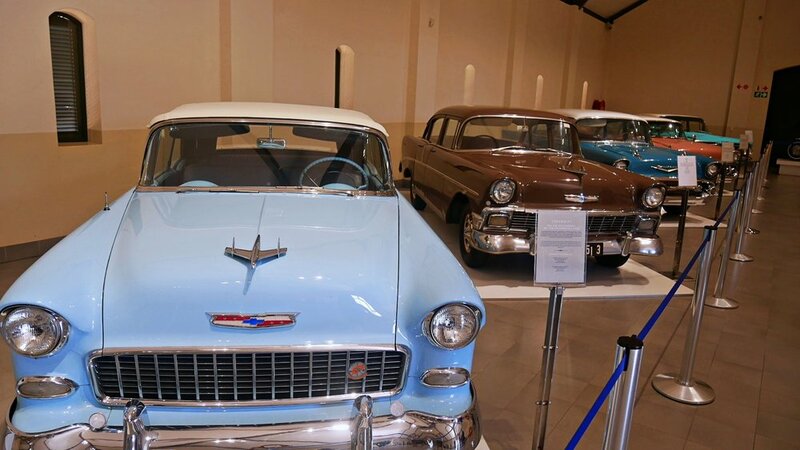 Amazing to think that these cars are so old considering the new technologies that we are talking about today. The museum rotates the cars on show so be sure to check the website so you don't miss anything that you were hoping to see. Cough, McLaren F1. With this intro your tastebuds are whetted to see what is hidden in the other three barns. Next we are treated to the Chevrolet barn with models from throughout the company's history. Such a huge collection of Americana in the middle of South Africas winelands. Into the next barn and we are treated with cars from another golden age, Jaguars and MG's. The workmanship that went into these machines are second to none. The excitement was building for the next barn as it contains cars from the last 30 years and the odd race exotica. So into the final barn and we are presented with what can only be described as Porsche vs Ferrari. The two manufactures flank each side of the central entrance to the barn. 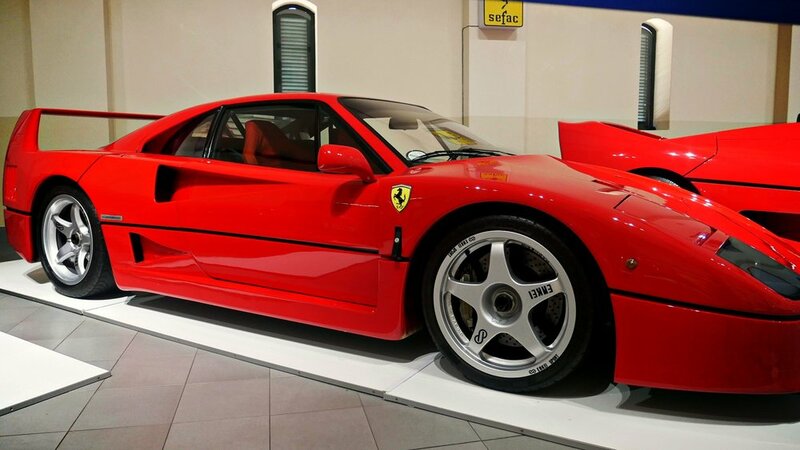 The Ferrari collection ran from 288 GTO to F50 to F40 and then into a couple of rare Alfa SZ's. The Porsche side was headed up by one of the most formidable race cars ever, the 956 in Rothmans livery. Backed up by a Carrera GT, a 928S, a 930 and a 912. Each plugged into the wall to keep the battery fresh, these are drivers cars to be driven, not just displayed. The F40 sported a fetching set of Enkel aftermarket wheels whilst the Porsche display captured your senses with the Group C thug of Ickx and Mass . When you were able to swivel your attention to what sits behind you you were treated to a selection of pioneering race cars including a Tyrrel F1 car and one for post race, arguably the most stylish car of all time, the 300 SL Gullwing. Yes please. The museum is owned by luxury goods legend Johann Rupert who clearly is a car nut and a very lucky man. I thank him and the staff for a wonderful morning at the collection, a morning that will not beeasily forgotten. Go to the Gallery to check out more pictures.